The above hardware specifications look like an entry level smartphone from 2014 with no major compromises. Going by the published images, it doesn’t look bad either, at least not an eyesore that one would expect for a phone costing less than what you’d pay for a coffee at Starbucks [Update: Actual image of the phone is at the end of the article]. Still, it comes with Android 5.1 Lollipop, 3G, microSD support and 1GB RAM. There is no mention of the brand of the SoC, so we shall dig around and update as and when it will be available. The phone is being launched today in New Delhi by the Defense Minister of India, Mr Manohar Parrikar. It’s quite possible that the phone is being subsidized by the Indian government (no official confirmation on this yet). 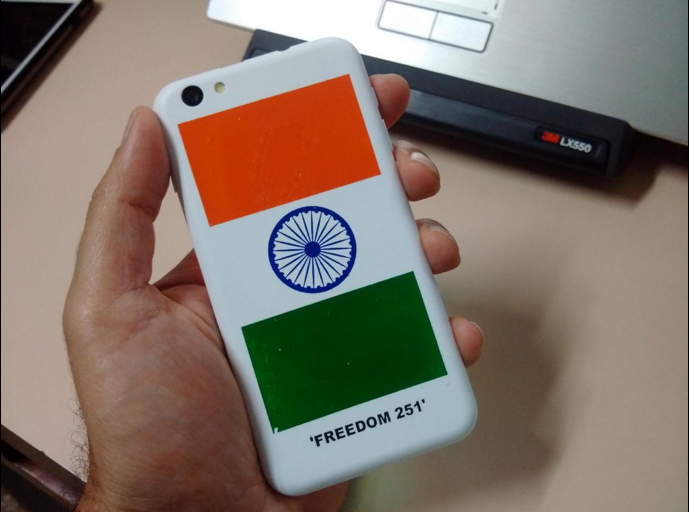 Ringing Bells is a Noida based company and says that Freedom 251 launch is in line with Prime Minister Narendra Modi’s vision for “empowering India to the last person, transforming India’s growth story“. Now pay with suitable option And submit. You have successfully complete your order. India is amongst the fastest growing smartphone markets in the world and recently overtook US as the No.2 market in the world. With greater majority of people still not having access to smartphones, initiatives like this will accelerate the smartphone penetration in the country. 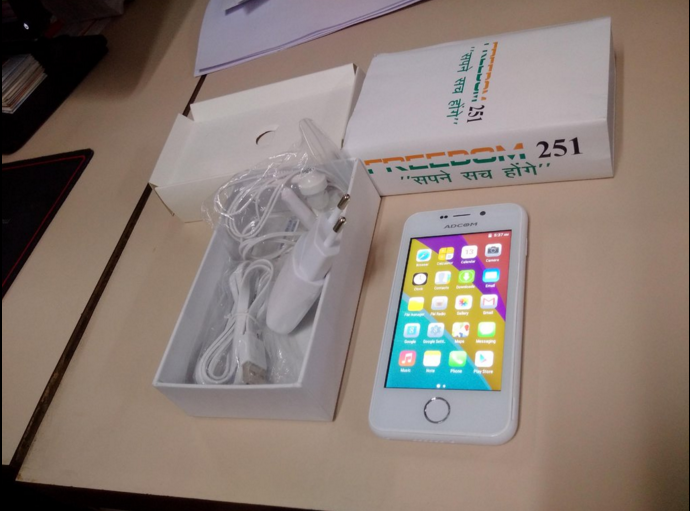 It remains to be seen how good and effective the Freedom 251 is, but Ringing bells claims that their smartphone is very capable. They are bundling in India specific apps like Women Safety, Swachh Bharat, Fisherman, Farmer, Medical and global apps like WhatsApp, Facebook and YouTube. 0 Response to "Freedom 251 Cheapest Android Smartphone for Just Rs 251 ($3.65) Only"